A 29er single speed with an Audi paint color. 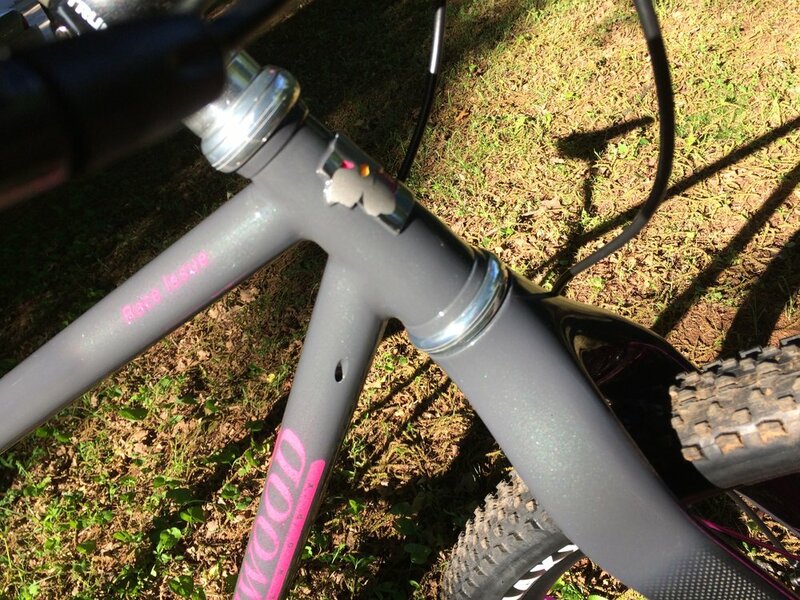 Eric asked for a light and fast race-able 29er single speed frame with a rigid carbon fork that he would supply. " Sure " ! " Oh and I'd like Rocker dropouts and thru-axle front and rear. . " he said with a smile. " Sure" was my answer, " this is a custom bicycle frame shop". Columbus tubing throughout , Audi Nimbus gray with pink highlights and Tropical Glitz Pink Ruby metal flake for a paint finish, Cane Creek 110 headset, Paragon Rocker dropouts with thru-axle inserts, tapered head tube and a set of custom built Industry 9 Ultralight wheels in pink to keep the theme. internal brake and dropper post routing in the down tube, yes there are stainless steel tubes all the way to keep the mechanic from cursing my name when it's time for new cables and hose.